We are excited to offer this 2016 BMW 4 Series. BMW CERTIFIED!!! This BMW includes: TECHNOLOGY PACKAGE Navigation System Heads-Up Display Hard Disk Drive Media Storage MP3 Player DRIVER ASSISTANCE PACKAGE Rear Parking Aid Back-Up Camera COLD WEATHER PACKAGE Heated Rear Seat(s) Heated Steering Wheel Heated Front Seat(s) NAVIGATION SYSTEM Navigation System Hard Disk Drive Media Storage MP3 Player PREMIUM PACKAGE HD Radio Hands-Free Liftgate Satellite Radio Power Door Locks Keyless Entry Passenger Adjustable Lumbar Driver Adjustable Lumbar Remote Trunk Release WHEELS: 18 Aluminum Wheels *Note - For third party subscriptions or services, please contact the dealer for more information. * This vehicle is loaded with great features, plus it comes with the CARFAX BuyBack Guarantee. 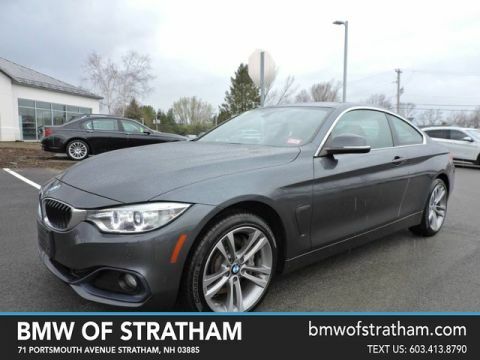 With CARFAX one owner report you can be sure that this BMW 4 Series was only gently owned. Meticulously inspected -- Worry-free -- Quality assured. All of this comes with a Certified vehicle, like this 2016 BMW. You appreciate the finer things in life, the vehicle you drive should not be the exception. Style, performance, sophistication is in a class of its own with this stunning BMW 4 Series. This vehicle was engineered to be both economically and environmentally friendly with exceptional fuel efficiency. Enjoy driving? Well now you will get more thrills behind the wheel thanks to the heightened performance of AWD. Better handling. Better traction. Better driving experience. 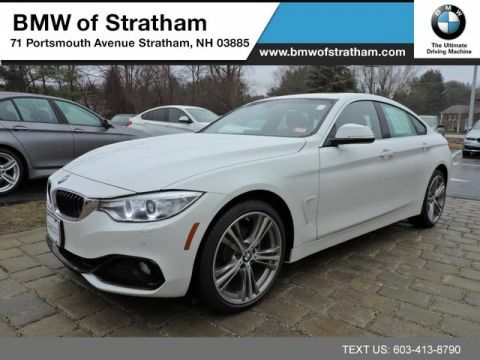 The 4 Series 428i xDrive SPORT PKG COLD WEATHER PREMIUM TECHNOLOGY PKG DRIVER ASSIST is well maintained and has just 22,939mi. This low amount of miles makes this vehicle incomparable to the competition. You'll quickly realize how much you will need a navigation system once you are stopping for directions or looking up addresses on your phone instead of looking at the road. 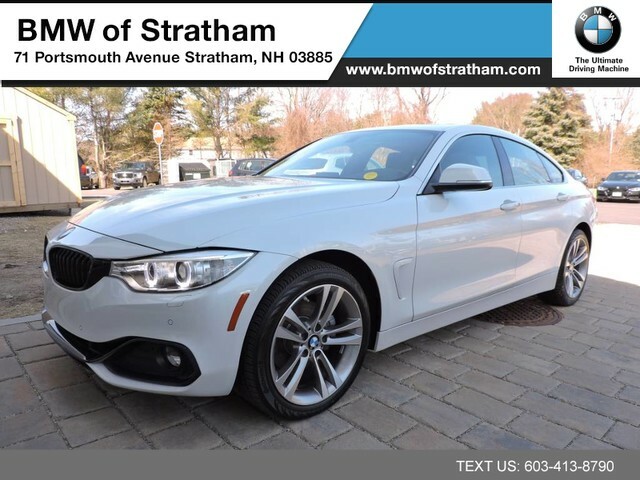 This BMW 4 Series 428i xDrive SPORT PKG COLD WEATHER PREMIUM TECHNOLOGY PKG DRIVER ASSIST features a navigation system that will free you of these unnecessary headaches. 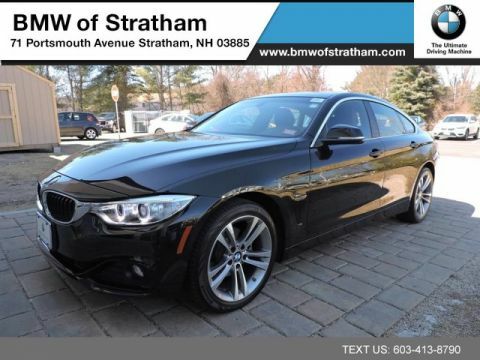 This impeccably built BMW 4 Series 428i xDrive SPORT PKG COLD WEATHER PREMIUM TECHNOLOGY PKG DRIVER ASSIST comes with a plethora of added features that have made this vehicle a unique find. These options will simply amplify the experience of owning and driving this wonderfully crafted BMW. We look forward to seeing you soon! Please call us for more information.